We already know we won't be getting any campaign co-op in Modern Warfare 2 when it launches this fall. 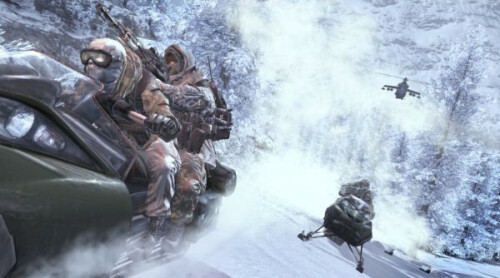 Instead players will be teaming up in a mode called Special Forces, which as been described as something similar to the Mile High scenario in Call of Duty 4. If you've paid close attention to our database entries for the game, you'll notice that we've only listed the game as a two player co-op title. We've had a lot of folks send us notes that this wasn't correct, and the game was four player, but all information up until this point seemed to point otherwise. Today, Infinity Ward has confirmed Modern Warfare 2 will feature co-op for two players. Really? In a tactical game things become a crowded? Interesting for sure. Bowling also weighs in on why there isn't cooperative play through the story. That gets me pretty excited for the Special Ops mode, I can't wait to see what Infinity Ward has planned.